From 2013 any business listed on the London Stock Exchange will have to report on their emissions in their annual financial report. 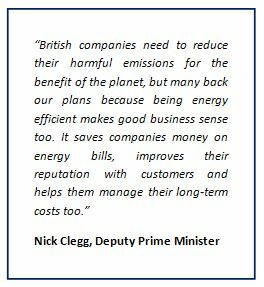 In a new piece of legislation, set by Deputy Prime Minister Nick Clegg, the UK will be the first to make it compulsory for major companies to report on their greenhouse gas (GHG) emissions annually. Ultimately, the aim is to demonstrate leadership and trigger a coordinated regulatory effort that tackles climate change at an international level. In order to meet the UK’s emissions reduction target the Government has recognised that a concerted effort is required. By mandating carbon reporting it is hoped that companies will set carbon reduction targets, track key performance indicators and report their achievements, which will contribute to more significant reductions in the UK’s GHG emissions. Moreover, Mandatory Carbon Reporting will help to further strengthen the regulatory framework that the CRC Energy Efficiency Scheme has already established, meeting the growing demand from corporate executives for the government to provide regulations with greater clarity and transparency. As of 2013 all companies listed on the London Stock Exchange will have to report their entire organisation’s carbon emissions, including overseas operations, in their annual reports. This involves measuring and reporting on Scope 1 (direct emissions, including the combustion of fuels e.g. boilers, vehicle fleet) and Scope 2 (indirect emissions, resulting from the consumption of purchased electricity, heat or steam). Once measured, business will have to report their emissions alongside the methodology used to calculate it in the directors report of their annual report. Failure to report will lead to enforcement by the Conduct Committee of the Financial Reporting Council under the Companies Act 2006. As the legislation will come into play in April, companies do not have long to get the necessary systems in place. The emissions reporting boundary must be established, aims should be outlined and targets and KPIs defined in order to drive reductions. In addition, the approaches taken must be robust and transparent, with third party validation of reports an important step to certify accurate reporting. Best practice guidelines and cooperation between companies will facilitate the production of reliable and easily comparable reports. The finance sector stands to benefit greatly from the Mandatory Carbon Reporting legislation. Investors and investments are progressively focusing their strategies on businesses which are actively sustainable or have good environmental credentials. As a result, environmental responsibility is becoming a crucial standard used to benchmark organisations, and differentiate brands and products to potential investors, shareholders and consumers. Companies that fail to report their carbon emissions to an adequate standard will likely find themselves at a competitive disadvantage. As sustainability and climate change shift the risk landscape, financial institutes are finding themselves under increasing pressure. Reducing dependence on expensive and volatile raw materials by reducing energy consumption and utilising waste streams effectively will limit the environment’s impact on business and are therefore essential strategies for growth. Those who manage to successfully navigate such complexities will find themselves positively differentiated from their competitors. There are already several financial institutions recognised for their environmental and social leadership such as UBS, Allianz Group and Wells Fargo; however, there is a lack of confidence in the ability of financial companies to factor issues of sustainability into their decision making. Additionally, the potential also exists to deploy capital towards long term productive assets, or to manage business processes in a more transparent and accountable manner. By capitalising on the opportunities that arise from integrating sustainable practices into operations, the finance sector stands to benefit significantly. Grant Thornton’s recent report revealed that of 200 organisations surveyed, 92% rate sustainability performance as either ‘very important’ or ‘important’. This is due to the number of benefits that can be obtained by creating a comprehensive sustainability strategy for your business. By monitoring, measuring and reporting on KPIs businesses can gain valuable insights that will ensure their long-term strategy is sound. Carbon reporting is no longer viewed as the latest green trend, with only six companies in the FTSE 100 not reporting on their emissions. Mandatory Carbon Reporting puts the UK’s largest organisations in the limelight, enabling them to play a major role in progressing business practices and encouraging others to follow suit. With a growing number of businesses disclosing their carbon emissions, those that do not will find themselves increasingly left behind. Furthermore, developing a carbon reduction strategy makes good business sense. It generates cost savings, is an effective form of risk management, enhances reputation, increases market opportunities and improves employee engagement. In 2012 Marks & Spencer reported £105m in annual net benefits from its sustainability strategy ‘Plan A’, while Tesco claim their energy efficiency strategy saved them £270m in 2011. With a review scheduled for 2015 it is anticipated that Mandatory Carbon Reporting will grow beyond the current legislation, affecting mid-sized organisations alike. It is expected that larger companies will continuously seek ways to reduce carbon emissions associated with their business operations and will therefore look to their supply chains to make further savings. Surveys suggest that many companies are swamped and confused by the numerous metrics that exist to measure different aspects of sustainability. By implementing the Mandatory Carbon Reporting legislation, companies have a straightforward process, with clear guidance, to follow. Planet Positive, in partnership with CloudApps, offer a tailored service to help companies meet their mandatory requirements. The application is designed to be fast, effective and affordable, helping businesses to measure and validate their data. Many businesses have already benefited from using our joint service, achieving significant improvements in operational efficiencies and employee engagement. For those companies already measuring their emissions, Planet Positive offer a third party validation to ensure that their calculations are accurate and that transparent and rigorous methodologies are being used. 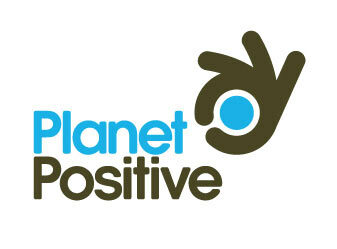 To find out more download the Planet Positive Mandatory Carbon Reporting leaflet.